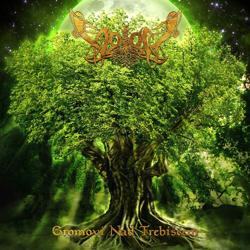 Croatian pagan metallers Voloh from Rijeka will soon release their debut full-length album “Gromovi nad Trebišćem“. The band was formed in 2010, but they remain quite unknown since they had only two gigs so far! The summer of 2012 they entered the studio and recorded their first album. On the 19th of January 2014 the single “Posljednji Pohod” will be released on the official Voloh YouTube channel, where fans and labels can get a better taste of their music. If no label shows interest, then the album will be self-released hopefully in the next 3 months in a limited CD edition. Their lyrics are generally filled with pagan spiritual motifs, glorifying the times and lives of their Slavic ancestors. You can already see the enchanting cover artwork, the tracklist and listen to a short album teaser below.